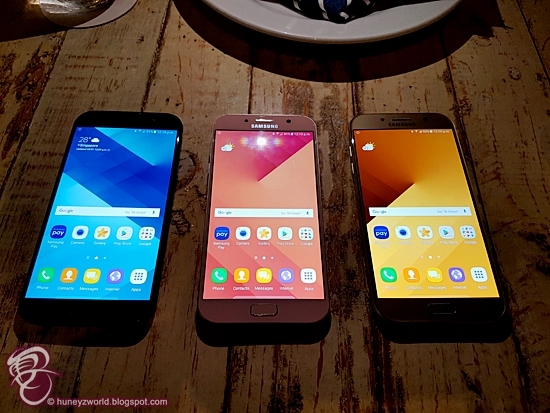 New Year calls for new updated gadgets and today marks the launch of Samsung's latest midrange devices - Galaxy A series smartphones - the Galaxy A5 (2017) and the Galaxy A7 (2017), together with a new series of phone covers. 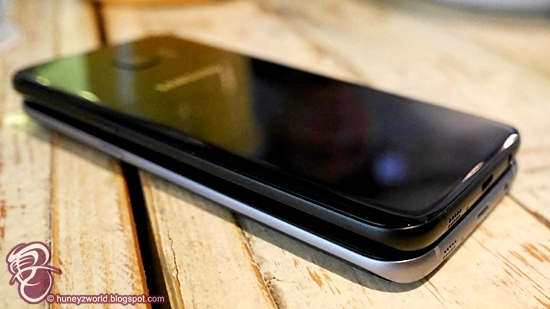 Offering two screen size options – 5.2-inch for the Galaxy A5 (2017) and 5.7-inch for the Galaxy A7 (2017), these 2 new phones are updated versions of their predecessors. 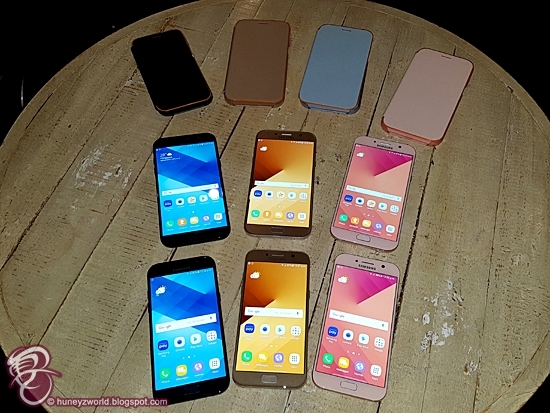 The new Galaxy A (2017) series look almost similar devices look almost similar to their S series range, featuring a premium metal frame, the signature home button with fingerprint scanner and 3D glass back. 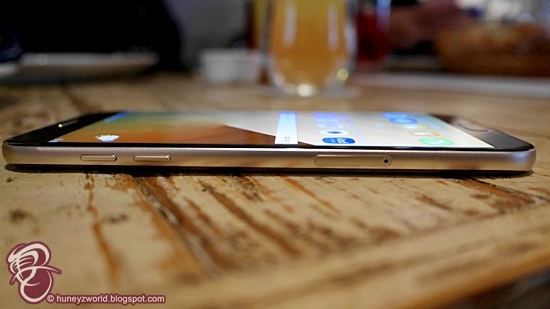 Both phones have a nice grip and fit in the palm comfortably. 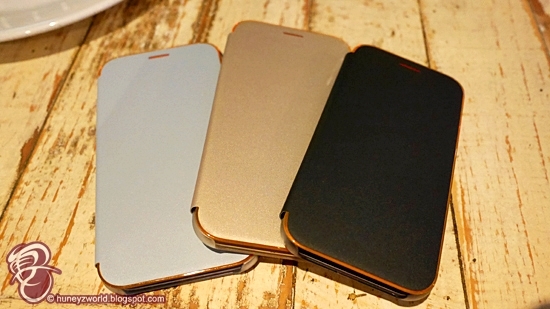 Coming in Black Sky, Gold Sand and Peach Cloud, there's a phone for everyone. 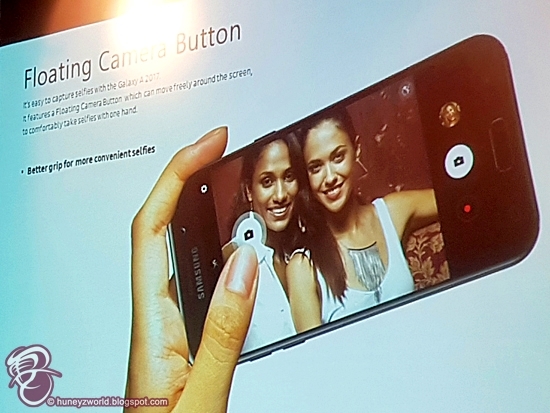 Camera abilities are up levelled with 16MP front and rear facing camera easily toggled with a flick on the screen. Something special is the floating shutter that allows high resolution selfie to be taken with a comfortable grip, without having to fear dropping the phone and also the screen display would be able to work as a front flash for brighter images. The accurate autofocus also allows better and more stable picture quality event in low light conditions. A simplified UX also allows users to have easy swiping to quickly change modes, or instant filters to activate picture effects. IP68-certified water and dust resistant capabilities, allowing it to withstand elements including rain, sweat, sand and dust. Larger memory space with 32GB of internal storage and expandable storage of up to 256GB with its microSD slot. Black, Gold, Pink and Blue at the recommended retail price of SGD$78. The orange rim gets lighted up when messages or calls come in, so that you will never have to miss any urgent messages or calls again! 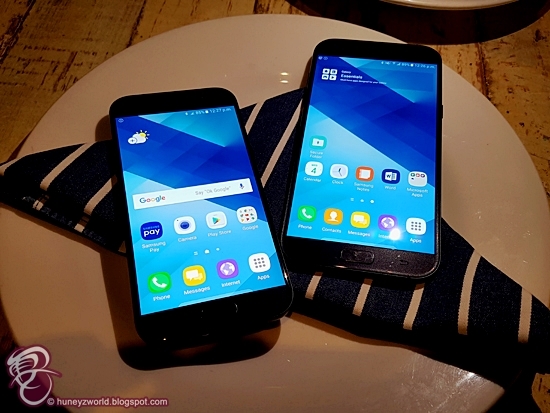 The Galaxy A5 (2017) and Galaxy A7 (2017) will be available from 21 January 2017 at the recommended retail price of SGD$548 and SGD$648 respectively, inclusive of GST. 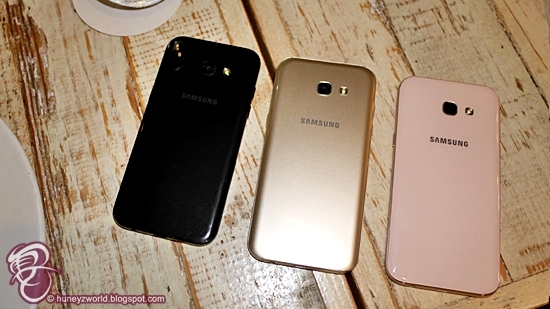 They will be available in three stylish colours – Black Sky, Gold Sand and Peach Cloud – at local telecommunications operators, major consumer electronics stores, authorised mobile retailers and Samsung Experience Stores. 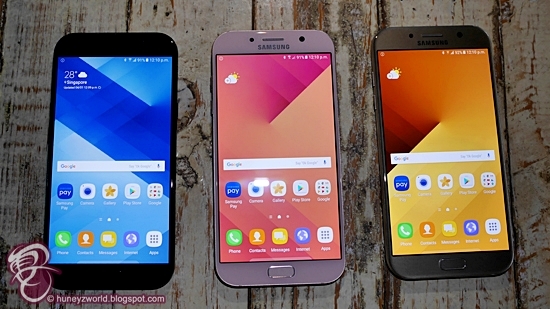 Additionally, Samsung also announced the retail availability of the new Black Pearl variant of the Galaxy S7 edge in Singapore. The glossy new colour, which radiates quality and luxury, will be exclusive to the 128GB version of the device. Designed to be modern and striking, the sleek black finish blankets the entire device - edges and all - and adds depth to its glass design. The result is a stylish all-black aesthetic that captures the essence of the colour in its purest form. 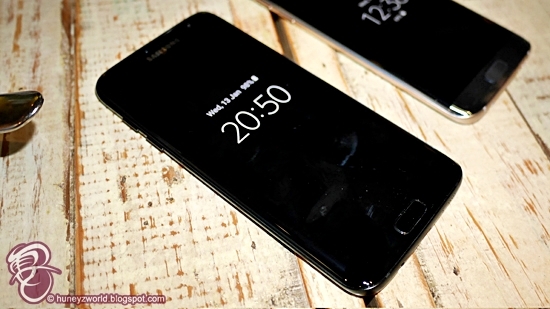 An exclusive jet black frame as compared to the S7 edge black onyx below. 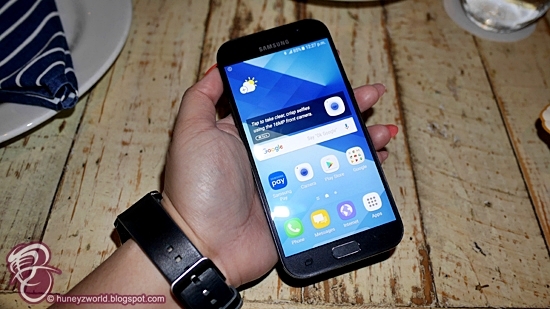 The Galaxy S7 edge in Black Pearl will be available from 7 January 2017 at a recommended retail price of SGD$1,198, inclusive of GST. 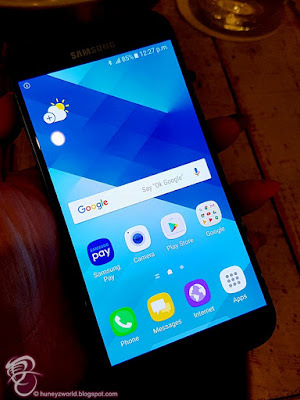 It will be available at all local Telecommunication Operators, selected Consumer Electronics/ IT stores, Authorised Retailers, and Samsung Experience Stores. 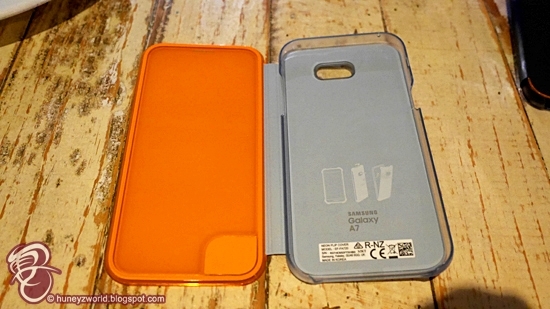 For more product information, please visit http://www.samsungmobilepress.com, news.samsung.com/galaxy or www.samsung.com/galaxy.